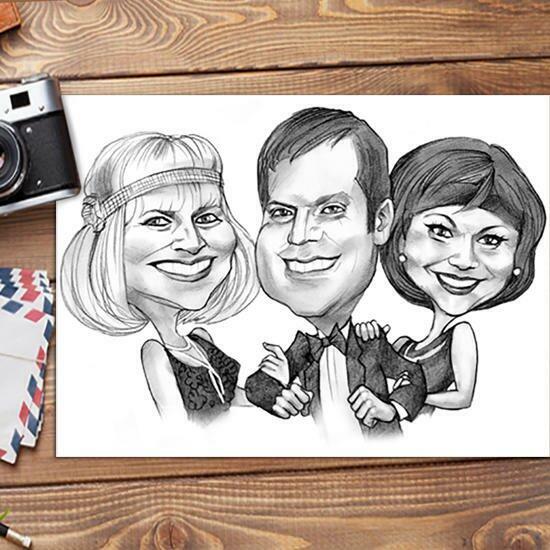 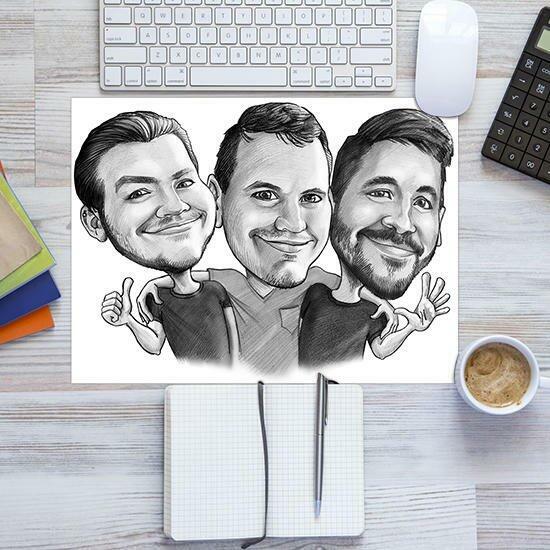 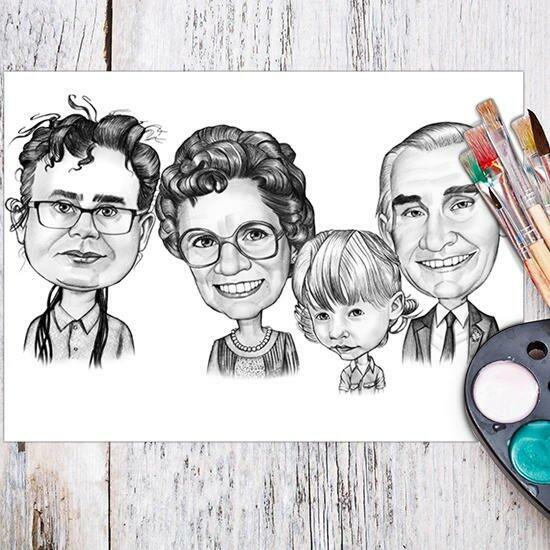 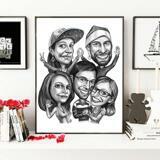 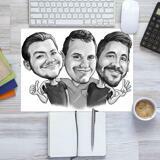 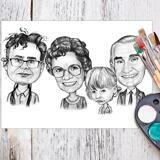 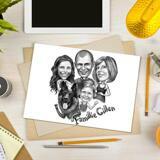 Would you like a qualitative photo print of a hand-drawn caricature drawing? 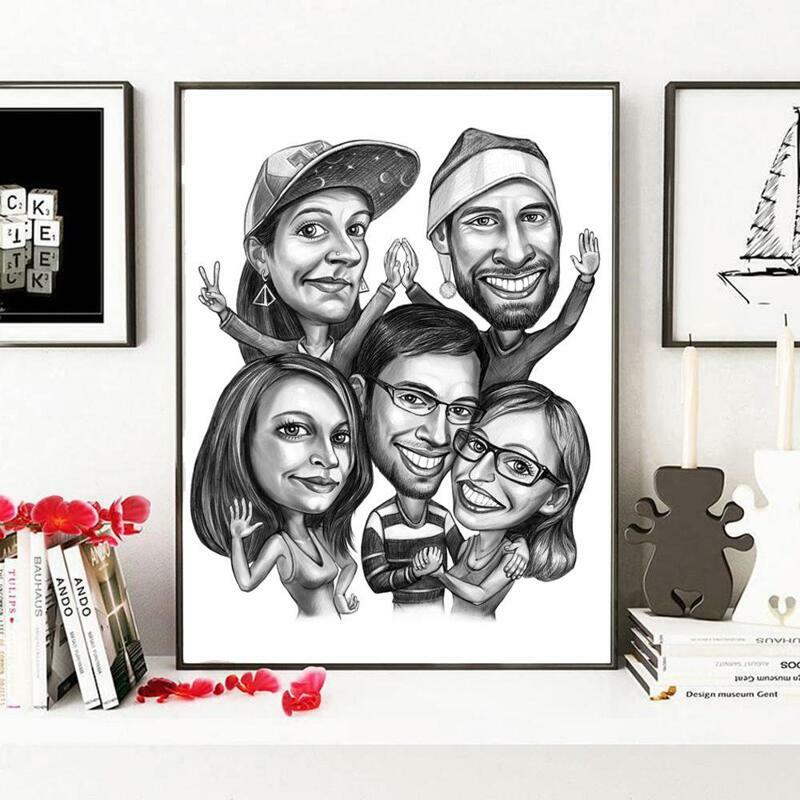 Commission Photolamus to create a funny and unique caricature drawing which can be used as a corporate gift on any occasion or a keepsake to a dearest best friend or family member. 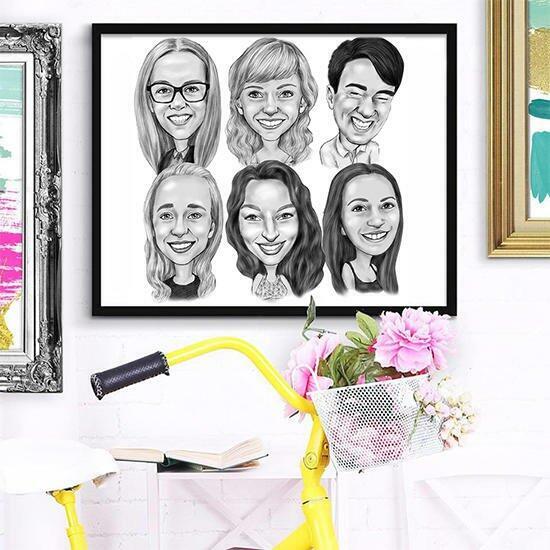 Photo Prints are available in many sizes and shapes which will adorn any room, wall and table as printed on photo paper. 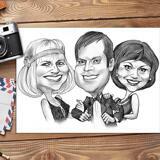 Mention necessary details and requirements regarding group caricature drawing and Photolamus will make it happen. 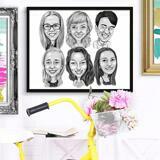 Group caricature are drawn within a week or more, depending on number of people and complexity of the drawing. 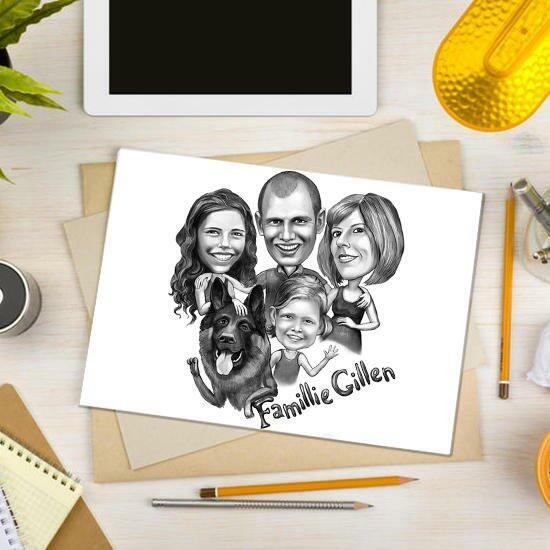 First of all, you will get a digital JPG File on Email for approval.